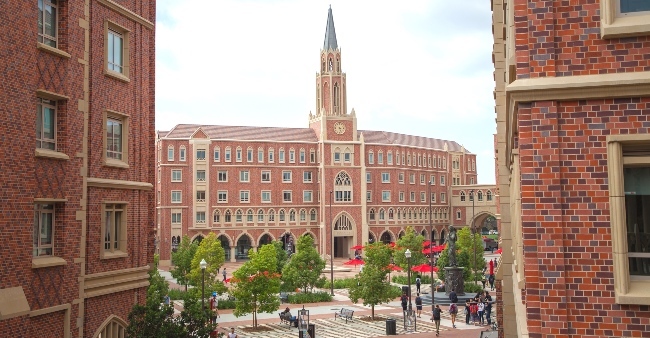 The McCarthy Honors Residential College is the visual center of the new USC Village complex, with a Gothic-style clock tower that spires 145 feet into the air. 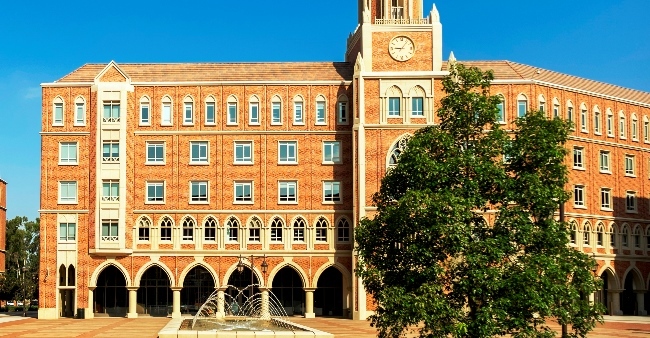 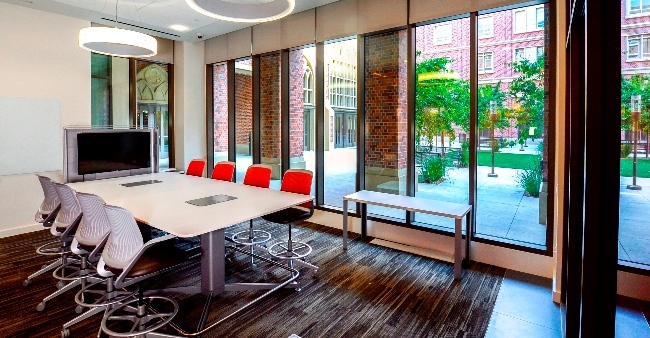 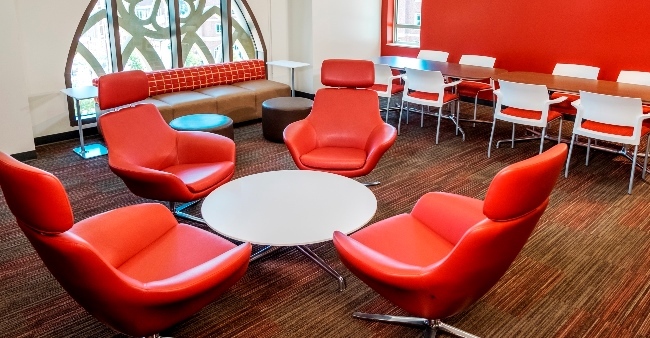 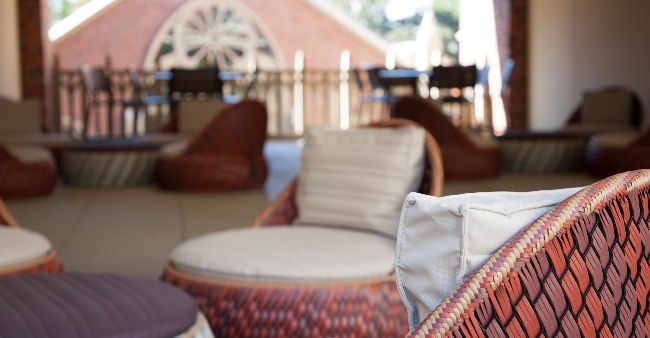 The distinctive collegiate-style architecture is a nod to the university's traditions, while its modern facilities and residential accommodations are a physical manifestation of USC's commitment to education in the 21st century. 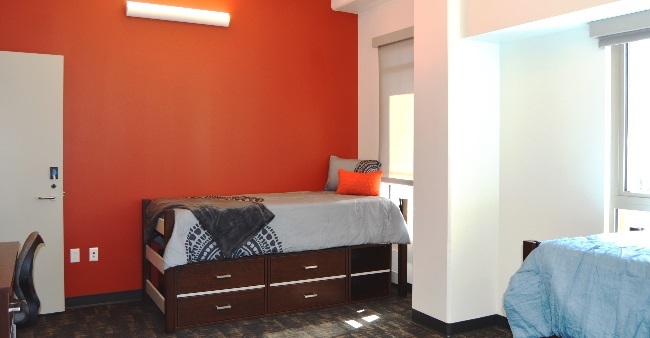 On its upper floors, the five story building provides housing for over 500 honors students in a variety of three, four and eight person suite formats. 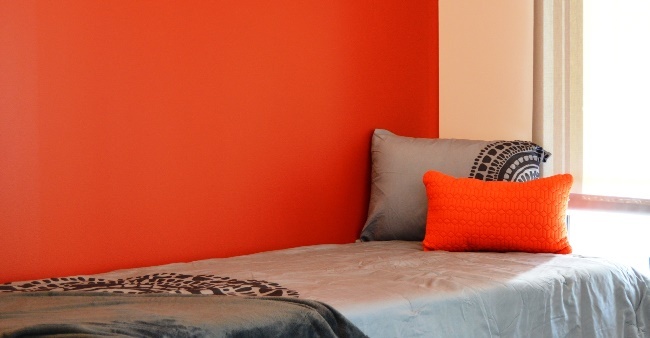 Each suite is a mix of rooms around a small entry way and one or two bathrooms. 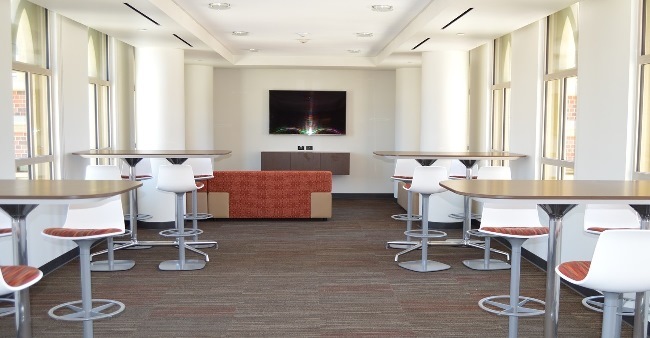 The ground floor houses the area's beautiful new dining hall, where residents will take many of their meals, classrooms, a large lobby and an on-site Housing Customer Service Center. 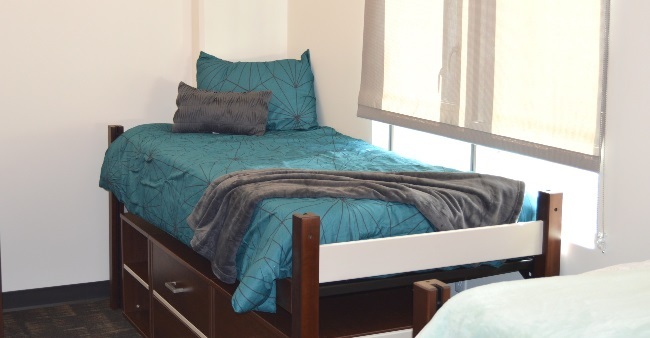 All of the suites are air-conditioned and feature new, stylish furniture. 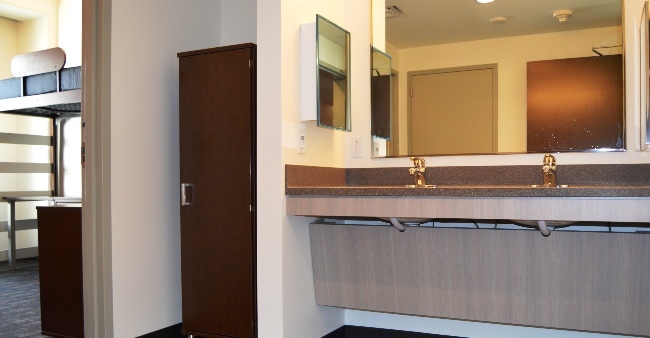 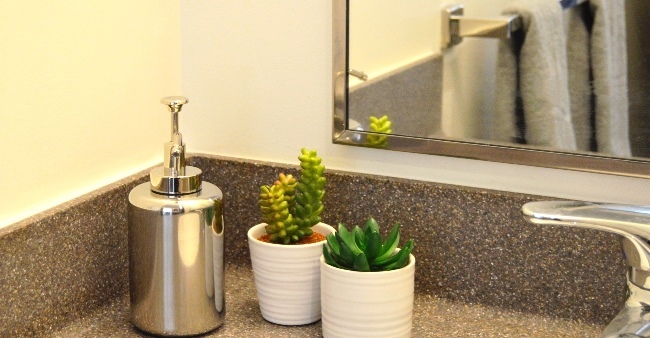 Suite-style living provides the residents with private bathrooms rather than large community bathrooms. 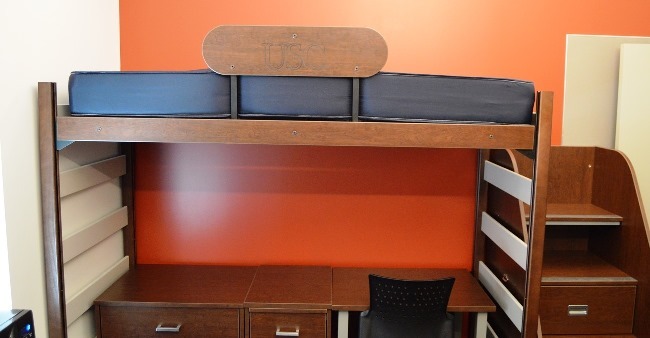 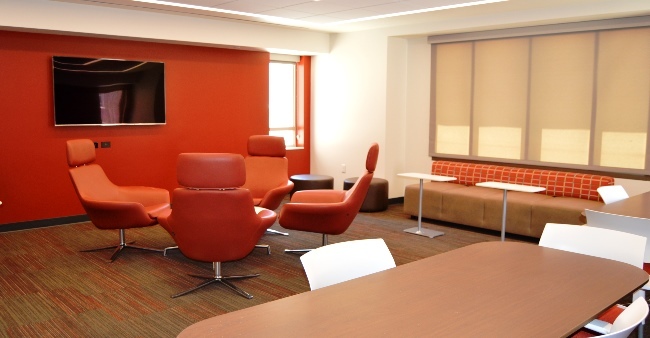 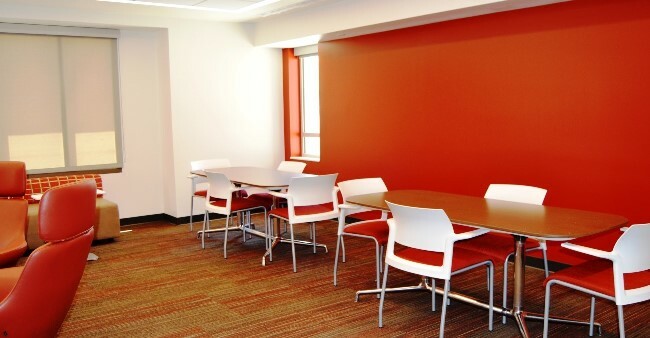 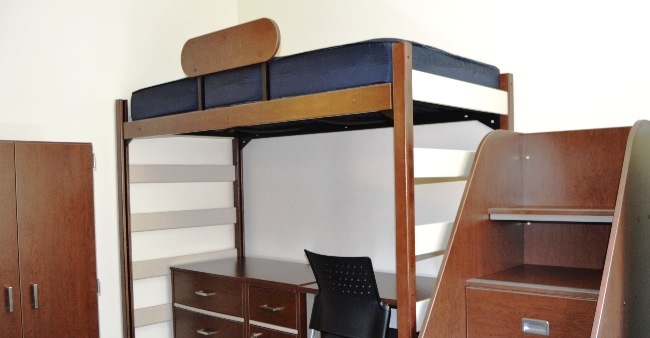 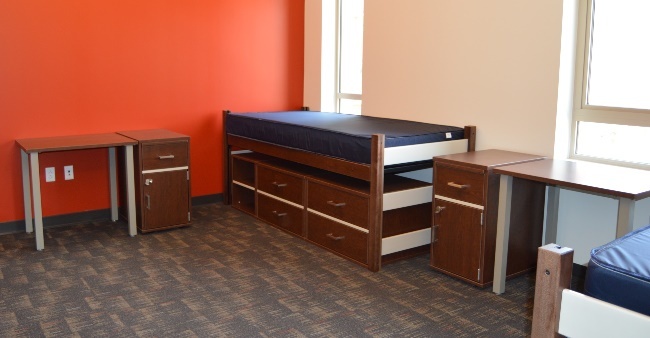 Along with over 30 residential suites, each floor has multiple lounges and study rooms and a laundry room. 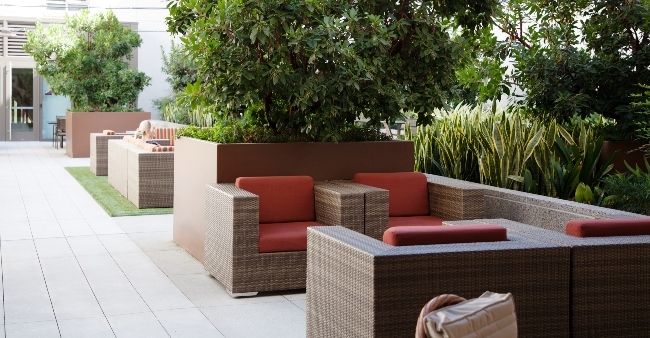 Two spacious landscaped courtyards, one on the ground level and the other on the first residential floor, are appointed with luxury outdoor furniture. 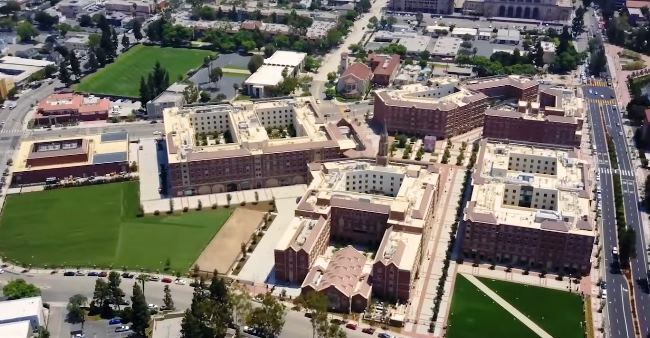 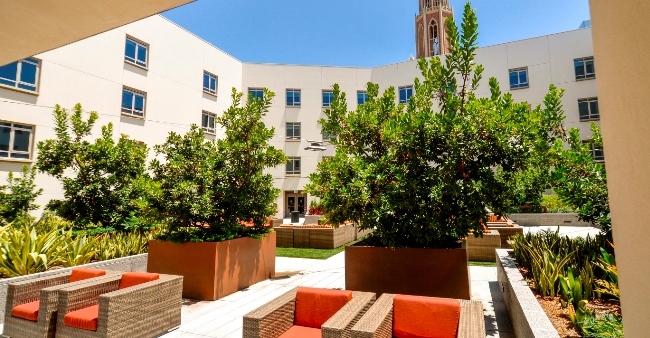 The ground floor houses a large lobby, classrooms, a magnificent residential dining facility, an Amazon University store, Dulce Café, USC Credit Union and secure indoor bike parking. 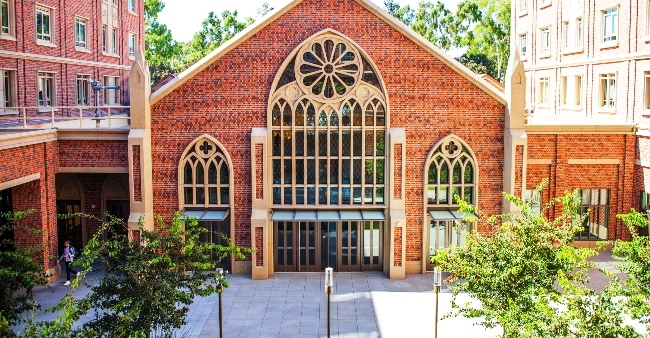 Parking for Village residents will be available in the new Shrine Structure located about a block and a half east on Jefferson Blvd. 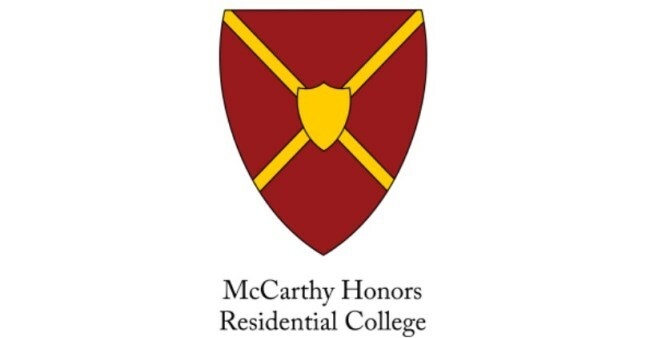 The McCarthy Honors College is a unique living and learning environment for freshman honors students holding either the Mork Family, Stamps Leadership, Trustee or Presidential scholarships. 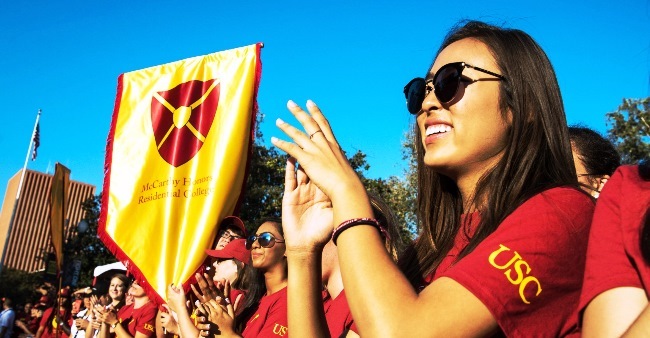 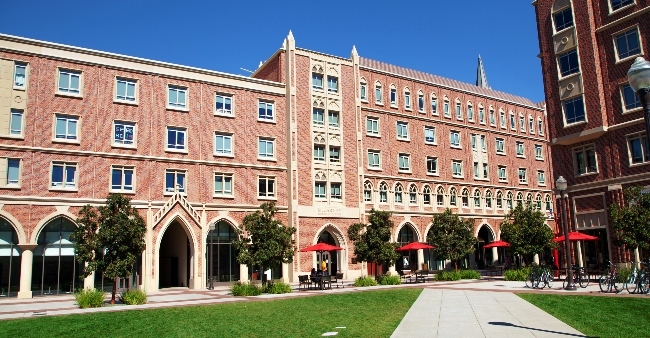 The residential college experience is promoted by the two residential faculty members and an extensive Residential Education staff, who live along side students and coordinate weekly themed dinners at the dining hall featuring presentations from USC faculty and administrators as well as visiting scholars. 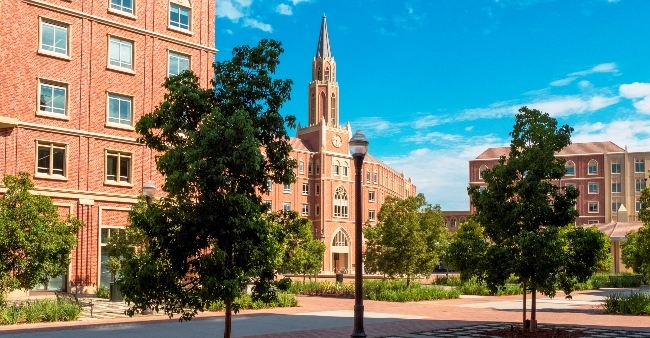 Assignment to the building is available to qualified scholarship holders on a first-applied basis according to housing configuration preferences. 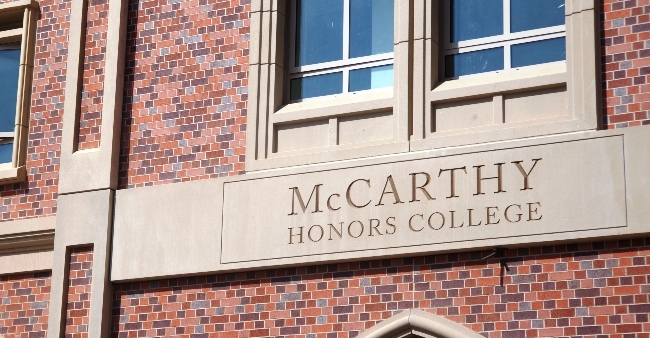 While McCarthy Honors provides a greatly expanded number of spaces to Honors students, assignment to the building is not guaranteed. 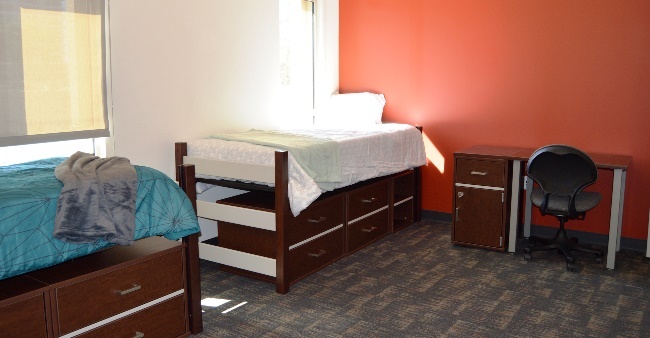 Residents will participate in a retreat at the beginning of the school year, moving in early to take part.